Most judges tend t o preside over criminal jury trials more frequently than they do civil jury trials. Thus, it is not surprising that many judges are more familiar with and comfortable handling criminal jury trial issues than they are civil jury trial issues. 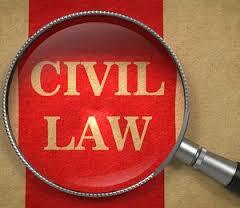 In the world of civil jury trials there are certain legal issues that tend to occur with a fair amount of frequency. Because most civil trial attorneys deal with these issues regularly, trial judges must be prepared to address these same issues, sometimes on very short notice. This update addresses ten common civil jury trial issues that every judge should be prepared for.